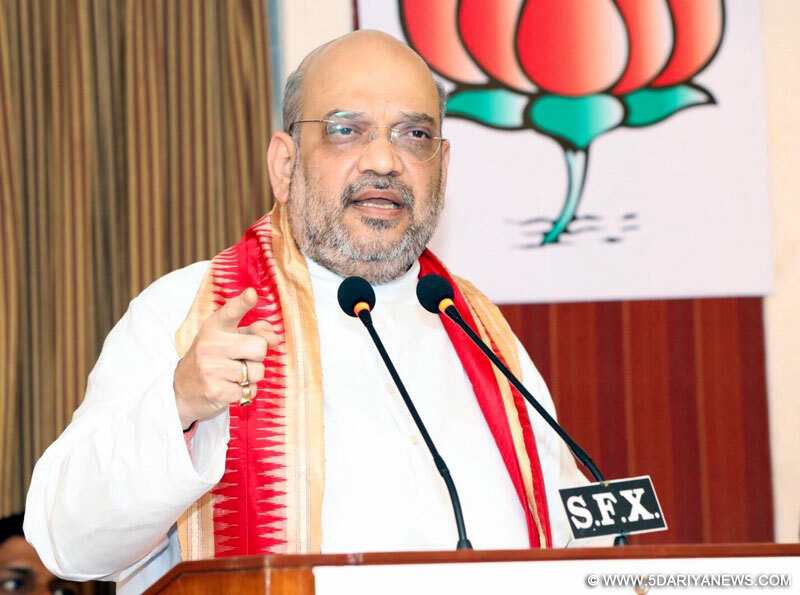 Implementation of the Goods and Services Tax (GST) will boost India's economy and help the nation compete with top global economies, BJP chief Amit Shah said here on Saturday.Shah, who is on a two-day visit to Goa, also said that efforts made to malign the GST have come to naught. "Efforts were made to malign this tax reform. I want to assure you that while tax reforms through GST might appear muted at the beginning, but it will soon propel the Indian economy to among the top in the world," the Bharatiya Janata Party National President said, soon after he arrived at Goa's Dabolim airport. "What happened yesterday (Friday) at midnight, was the biggest tax reform since Independence. India and its 125 crore people, are now ready to compete with the world. Whether in Kashmir, Tamil Nadu, Gujarat or Assam, everywhere there will be a common tax structure and there will be no impediments. By eliminating multiple taxes, and introducing only one tax, the BJP's Narendra Modi government has delivered businessmen and entrepreneurs from Inspector Raj," he said.According to BJP state president Vinay Tendulkar, Shah is in Goa to plan the strategy for the the 2019 general elections, strengthen the party's organisational structure and interact with Goa's industrialists, hotel owners, chartered accountants, doctors, builders and others.